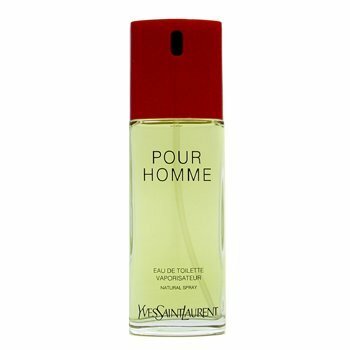 Yves Saint Laurent Pour Homme by Yves Saint Laurent is a woody aromatic fragrance for men. Top notes are lavender, lemon verbena, petit grain, bergamot and lemon; middle notes are rosemary, carnation, clary sage, brazilian rosewood, geranium and marjoram; base notes are sandalwood, tonka bean, amber, patchouli, musk, vetiver and cedar. The Yves Saint Laurent Pour Homme 100ml EDT Men's Cologne was added to the Men's Cologne category in June 2016. The lowest price GetPrice has found for the Yves Saint Laurent Pour Homme 100ml EDT Men's Cologne in Australia is $49.00 from Zeina Perfume World. Other merchants who stock it are Zeina Perfume World, Price Rite Mart.